A couple of years ago the blog featured celebrity parents Liam Picken, an AFL footballer, and his partner Annie Nolan, who had just had twin girls, Delphi and Cheska, sisters to Malachy. Annie has her own blog called Uncanny Annie, and recently posted an interesting article on how she and Liam named their children. Just for starters, I discovered that Delphi’s name is actually Delphine, but she is only ever called Delphi. You can also read how the surname Picken helped shorten their name list: Banjo Picken was never going to happen, nor was Cherry Picken! Journalist Claire Harvey, who has also been featured on the blog as a celebrity mum with her son Reg, has written a piece about names that she thinks are now too closely associated with a particular person. Intriguingly, they’re all female names. (Is Claire musing over her future girl’s list?). She does note the recent fuss over Atticus Finch, who’s gone from first-rate father to flawed figure with the publication of Go Set a Watchman by Harper Lee. However, Claire likes the name Atticus, and can’t see any reason to get in a flap over a fictional character who lived in a time and place where holding segregationist views and being racially bigoted was normal. I have been waiting to see if there have been any stories in the Australian press about parents anguished over the name Atticus, but so far I haven’t found any – all the angsty Atticus stories I’ve read have been from the US. I do note that so far this year I have seen four new babies named Atticus, but none since Go Set a Watchman came out last month. It will be interesting to see how many I see in the rest of the year. And more celebrity names: the name Rebel was featured on the blog in 2013 because of the fame of Australian comic actress Rebel Wilson. However, a few months ago there was a big expose of Wilson when it was discovered that her name wasn’t Rebel Wilson at all, but Melanie Bownds. There’s nothing unusual about having a screen name, but apparently it’s an issue if you pretend that it’s your real name. Plus there was a kerfuffle about her age (she shaved about seven years off it), and her background, which was much more boring and upper middle class than she claimed. For some reason, one magazine took issue with the fact that she wasn’t a class clown at school, but instead rather a high achiever who was deputy head girl, basketball captain, and on the debating team. They almost seemed to imply her comedic gifts must be spurious as well. Oddly enough, Rebel’s siblings really are named Ryot, Liberty (Libby), and Annachi (Anna), which makes me wonder if there is some information missing here – especially as several of the key points of Rebel’s life story have been confirmed. After Cyclone Pam hit Vanuatu in March, the names Pam and Pamela became more common, especially for baby girls born during the cyclone itself. This story looks at babies named Pamela and Pam, while another baby was named Charlotte Pamela after Australian volunteer paramedic Charlotte Gillon, who helped deliver her during the cyclone. A great honour for Charlotte, and what a pretty name. Meanwhile, another story reports that nine months after Cyclone Rusty hit Port Hedland, the Pilbara town had many babies with the name Rusty. Sometimes it’s hard for partners to compromise on choosing a child’s name together. Two years ago Ms Reynolds and Mr Sherman had a son after a brief relationship, and ever since they’ve been arguing over what his surname should be. Ms Reynolds says it should be Reynolds, while Mr Sherman prefers Reynolds-Sherman. In the meantime, the baby’s name has not been registered. In cases where parents can’t agree on a child’s name, the law will step in, and a judge has sided with Mr Sherman, insisting that the boy be registered as Reynolds-Sherman, and referred to as such at all times. The judge says that it would be beneficial for the child’s welfare to have an identity reflecting both sides of his family. However, Ms Reynolds is not satisfied with this decision. Apart from worries about how she’s going to fit his surname on his lunchbox, she’s concerned that if Mr Sherman ever abandons his son, the boy will be stuck with the surname of the man who deserted him. She appealed the decision, and the appeal was upheld by the Family Court of Australia. The case will now go back to court for a re-hearing. The relevant justices wrote in their submission: a dispute about the name by which a child will be known perhaps for his entire life is a matter of real importance. Ever thought choosing baby names was a frivolous pursuit? The law disagrees! It’s a matter of real importance. Like a Baby Name? Swipe It! Hopefully you and your partner won’t argue about baby names to the extent that Ms Reynolds and Mr Sherman have. But to help you reach consensus, there’s a free baby name app that works like Tinder. You and your partner both download it, and connect with each other’s profile. After that, you are sent scads of baby names, which you can each swipe to like or dislike. If you both like the same name – it’s a match, and sent to your shared favourites list. It sounds like a fun way to get a baby name list together. It’s rare that a person’s name becomes a major part of a news story. But last month in Sydney, Steven Jesus was accused of stabbing fellow boarding house resident Christopher Angel; luckily Mr Angel was out of the intensive care unit in less than a week. The newspaper headline read: Jesus charged with stabbing Angel in a Sydney boarding house after a brawl of biblical proportions before victim’s Lazarus-like recovery. It seems that even Mr Angel has had a bit of a giggle about the conjunction of names. The lawyer for Mr Jesus supposedly kept trying to say his surname the Spanish way, but Mr Jesus is adamant his name is pronounced JEE-suz. Jesus is now in gaol awaiting trial, and has had an AVO taken out against him. And that’s a sentence you don’t read every day. Most people (73%) didn’t think Go Set a Watchman would affect the popularity of the name Atticus. 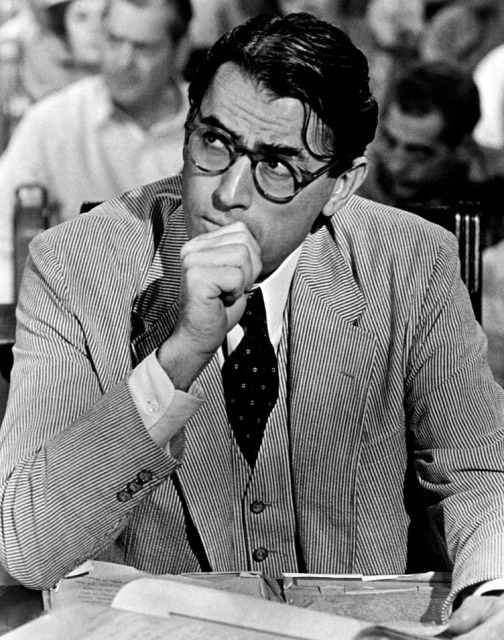 49% of people thought the name Atticus would become less popular for a while, but popularity would recover once the fuss over the book died down. 24% didn’t think it would make any difference, and Atticus would continue growing in popularity at the same rate. Of the 27% of people who thought its popularity would be affected, 23% thought it would steadily become less popular, while 4% believed it would become totally unusable. No wrong , brother is Ryan , sister is Anna . Believe nothing what you hear and only half of what you see from the Rebel Wilson publicity team . They like treating people as “fools” . We are not , they are. I thought everyone in Hollywood lied about their age? She is listed as Melanie Elizabeth Bownds on the electoral roll and on business records: but I do believe her story that Rebel is her real first name, because who would have children named Ryot, Liberty, Annachi and Melanie?